Discussion in 'Guitars in General' started by Simto, Feb 23, 2012. So i made an order for JM6 in the middle of December and was told it would take three to four months. But i already got it yesterday! It's just an amazing guitar, i couldn't put it down, played until my fingers just couldn't take it no more. I know i've only had it one day, but the tones i can get from this guitar are just awesome. I can get the tones i need for my band with one guitar now. 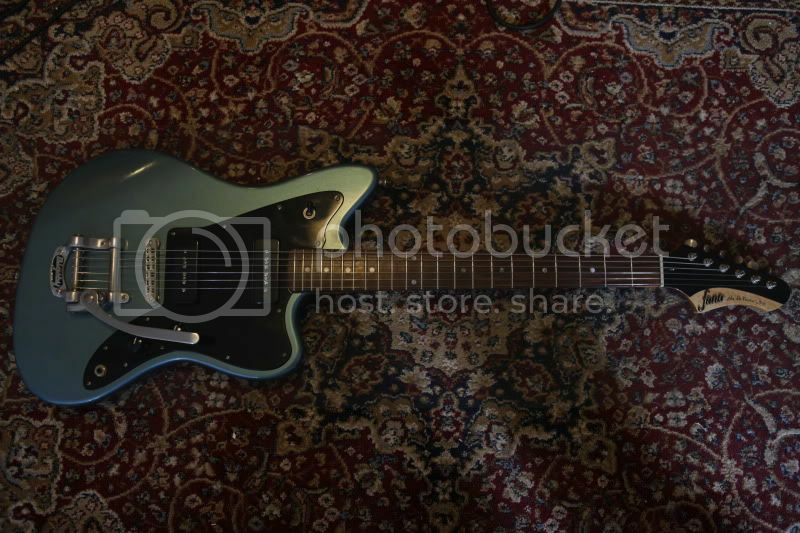 I think this guitar is pretty much the best blend of Fender playability and Gibson tone i've ever tried. The finish is just beautiful. 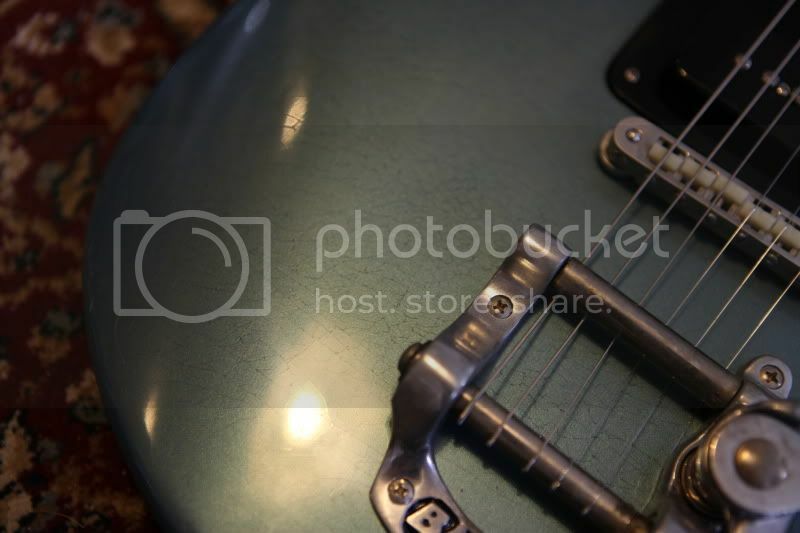 pelham blue over a mahogany body and very mild relic. 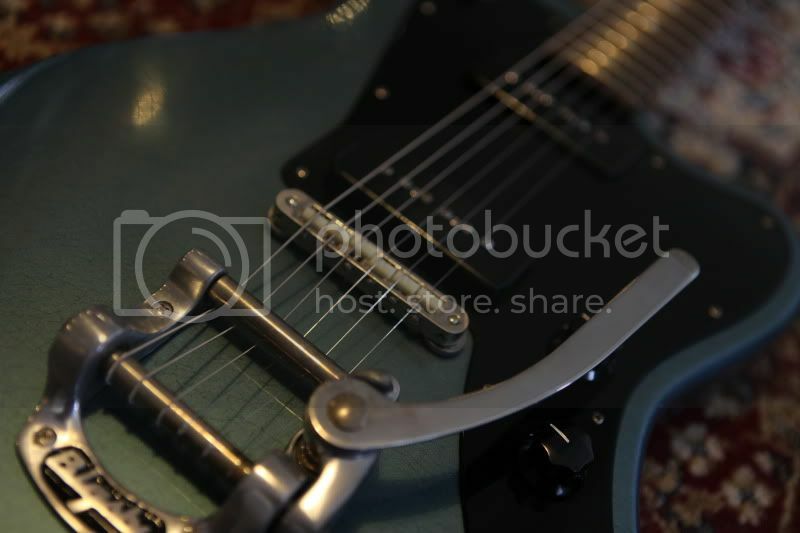 And you can't go wrong with a bigsby. Oh Lordy I want. I played one at PGS in Portland and fell in love. But dang those things aint cheap. Wow, what a beautiful guitar -- and just the right features IMO. Nice!! I really like the tonestyler knob too. I can make it the pickups sound very close to a humbucker too. Great sounding guitar! that is sharp. congrats! 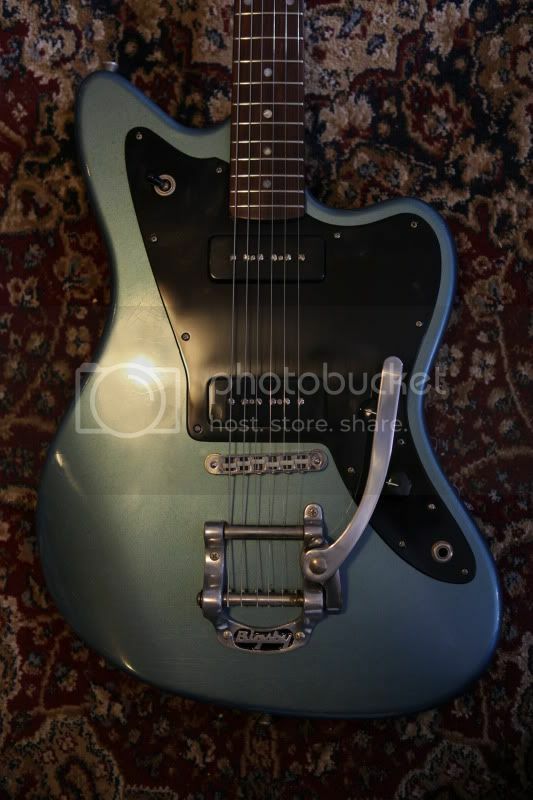 HNGD!!! 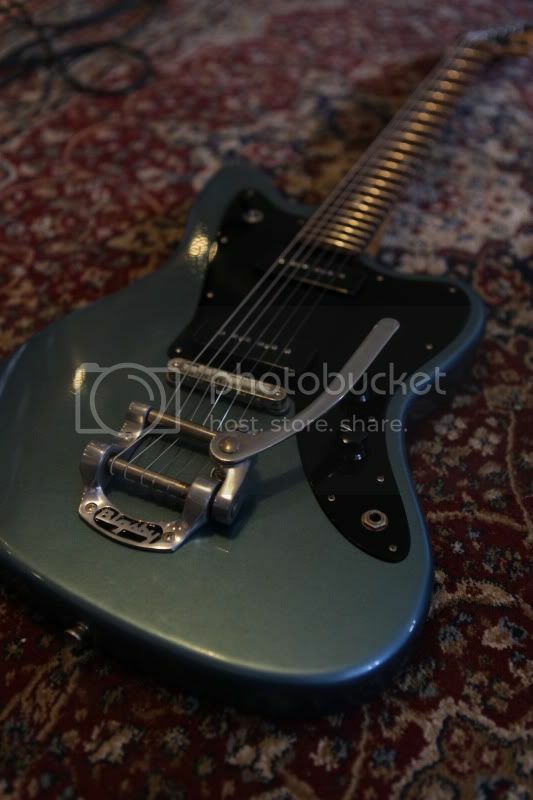 Absoulutly stunning guitar! Nice one. Although.... I would have gone for a white/cream scratchplate myself, but he who pays the piper... Definatly a guitar high on the bucket list! Thanks guys, it's truly a joy to be able to have an instrument like this, it inspires me to play.